I am back once more for Singapore International Film Festival (SGIFF) 2014! You have no idea how amazing this is! As most of you guys would have know by now, I am quite a movie buff. I like all sorts of movie but quite particular about horror, so being invited to SIFF is definitely a wonderful opportunity to catch up with the familiar faces, and find out about their latest projects. 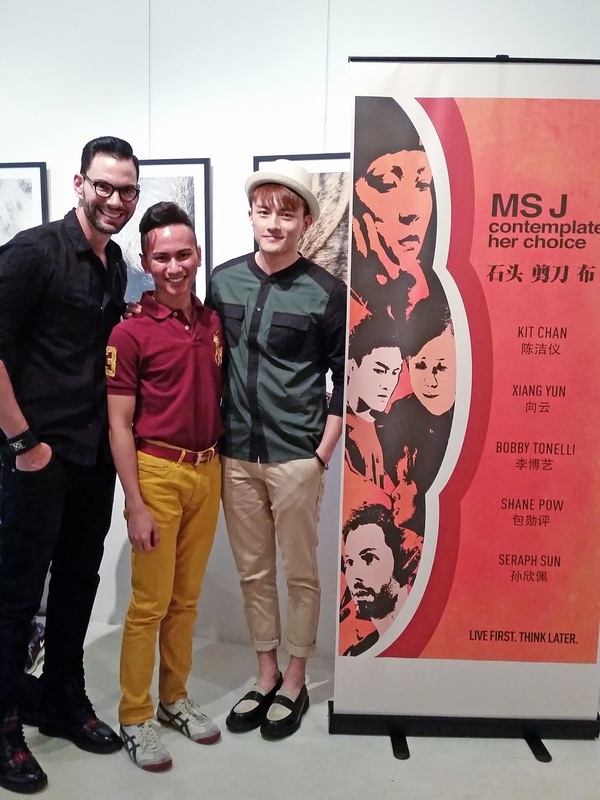 I am honoured to have a preview of the upcoming Singaporean feature film - Ms J Contemplates Her Choice. Yes, very much exclusive preview of this amazing movie! Synopsis: Singer Kit Chan takes on her first leading role as a radio personality whose life changes irrevocably when an anonymous caller dials in with a hidden agenda. An inspired casting choice in director Jason Lai’s feature, Chan plays the titular Ms J, who regularly offers advice to callers on a radio talk show. Her latest appearance on the show takes an unexpected turn when the unknown caller forces her to answer a series of difficult decisions that brings all of her life’s decisions to bear. The movie will premiere this coming 6 December at the National Museum of Singapore. If you think it's bad, know that the premiere for this movie is sold out! I repeat. Sold out! This almost-half-a-million dollar movie which was directed and co-written by Jason Lai was inspired by the repercussions of our choices in our daily lives. This movie simply puts it in the radical way that choices big or small, actually does determine the path that leads you to the next step in life. It simply haunts you back. A fusion of psychological thriller and societal treatise, Ms J movie nimbly moves between three narratives that fits together in the end, shedding light on contemporary issues in Singapore with an exploration of morality and the consequences of free will. Wondering who is Jason Lai? Here he is! I wouldn't want to give too much info otherwise it wouldn't be fun! Even if you know what happens in the end, I think you guys should still watch it to enjoy the cinematography! It's really great because Jason Lai by experience is a documentary producer, so it is quite imperative to have such camera skills. It really adds life to the story and give it a local touch. Although in my opinion it may not be too relevant to the storyline, but I was sold by the panorama and quality. A feature film by nature does not cost much; but the quality of the movie shows good filming streak. Great job! Will see you guys again!